Saturday Early Bird: Valid for entry between mid day - 13:30. 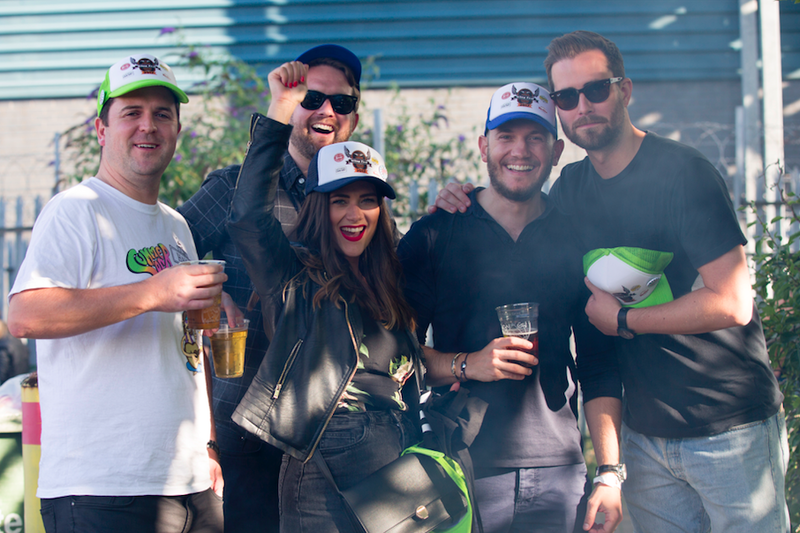 Ticket includes a Wing Fest signature trucker hat, a bottle of Frank's RedHot & access to Wing Fest app. Saturday Standard: Valid for entry from 13:30. Sunday Early Bird: Valid for entry from mid day to 13:30. Sunday Valid for entry from 13.30. Ticket includes a Wing Fest signature trucker hat, a coupon for a bottle of Frank's RedHot & access to Wing Fest voting app. Under 12 Child ticket: The child must be accompanied by an adult. Entry only valid with child ticket. Free child tickets have limited availability. Who really does the best wings? 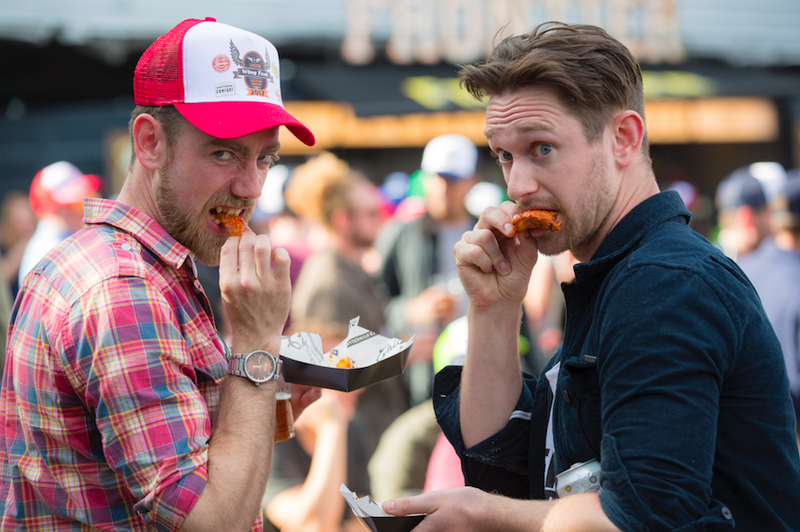 Europe’s biggest chicken wing show-down returns to London to provide the answer to that burning question - who really does the best wings? 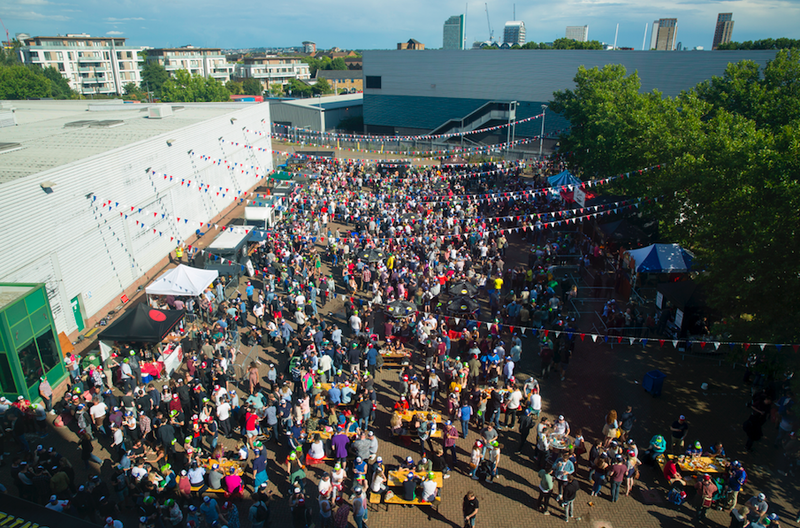 On the 4th & 5th August at Stratford Waterfront, in Queen Elizabeth Olympic Park, competitors from across the UK will work their culinary magic in a bid to be crowned the King or Queen of the Wing. Described in the North American dictionary, from where this mighty morsel hales, as "Deep-fried wings coated in a spicy sauce." Of course to those in the know, this description simply doesn’t do this wonderful creation justice and the search for the best out there is fiercely contested across the world. 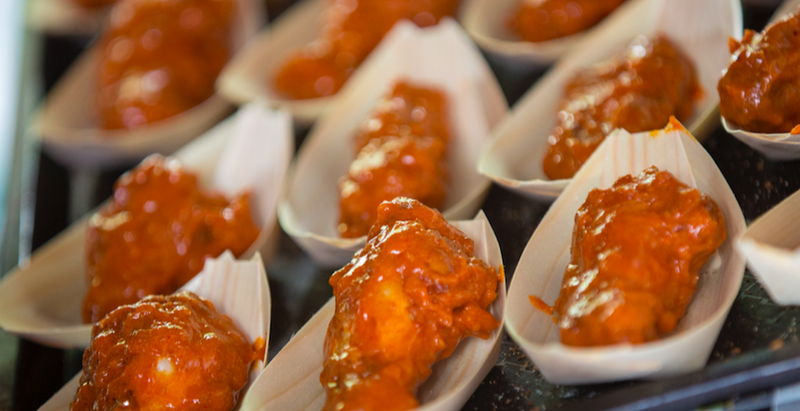 This category is looking to explore and demonstrate the many exciting ways a chicken wing can be prepared and served in the broadest sense possible. In this category anything goes. Any flavour, any technique, any taste. Basically the rule is, there are no rules. BBQ Dreams | Buffalo Joes | Chicken Shack | Randy's Wing Bar | Spit & Roast | The Joint | We Serve Human's | Rum Kitchen | Wingmans | Chuckling Wings | Lord of the Wings | Brother Bird | Thunderbird | Drums and Flats | Mother Clucker | Taco Dave | Gurt Wings | Roostered | Da Ja Chicken | Dookies Grill and more…. 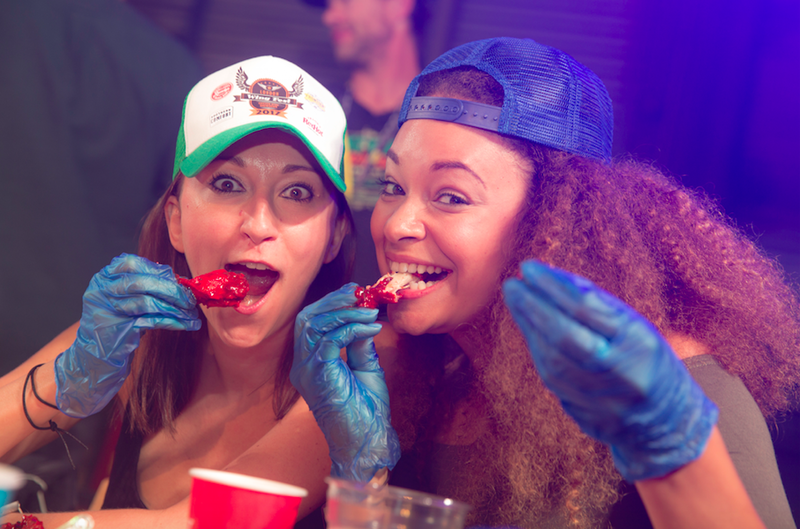 Dr Sweetsmoke’s deadly Lava Wing Challenge, which causes carnage every year, is on the Saturday, and Frank’s RedHot will be hosting their notorious wing eating competition on both days. Also for the first time this year, the entertainment line up will include impressive chainsaw wood carving dispaly ad fair ground rides. There will be live blues and rock music, bourbon master classes and street entertainment through out both event days. Saturday 5th August: Mid day – 21:00. There will be no re-entry on either days. All ticket holders are advised that the best way to get to the event is via public transport. Via Stratford station or Hackney Wick. Look out for our way finders who will be there to help get you to us or follow the Purple directional signage to “Queen Elizabeth Olympic Park” through the shopping centre. There is no parking on or nearby the event site. The closest car parks are the Westfield Car Parks B and C.
This event is taking place outside and we hope for a sunny day but please prepare for any weather conditions that may be advised. All wings cost £1. We advise that you do not rely solely on card transactions and bring cash with you for this event. Allergen information will be available upon arrival. Please be aware that no food and drink will be allowed to be brought into the event site except in limited circumstances on proven medical grounds. Water refill points will be available. Children under 12 get in a free providing they have a free ticket and must be accompanied by an adult. There are a limited number of free child tickets available, once these have sold out we are unable to release any more. Children under 18 must be accompanied by a paying adult. By purchasing a ticket for this event and by entering the premises of the event site you consent to being filmed and photographed and that your image may be used for promotional purposes. This is a food event so unfortunately pets are not allowed. Valid for entry between mid day - 13:30. Ticket includes a Wing Fest signature trucker hat, a bottle of Frank's RedHot & Access to Wing Fest voting app. Only valid with paying adult. Only vaild with paying adult. 12. All ticket holders are advised that the best way to get to the event is via public transport. Via Stratford station or Hackney Wick. Look out for our way finders who will be there to help get you to us or follow the Purple directional signage to “Queen Elizabeth Olympic Park” through the shopping centre. 13. There is no parking on or nearby the event site. The closest car parks are the Westfield Car Parks B and C.
14. Saturday last entry is at 20:00. Sunday Last entry 20:00. 16. This event is taking place outside and we hope for a sunny day but please prepare for any weather conditions that may be advised. 17. All wings cost £1. We advise that you do not rely solely on card transactions and bring cash with you for this event. 18. Allergen information will be available upon arrival. Please be aware that no food and drink will be allowed to be brought into the event site except in limited circumstances on proven medical grounds. Water refill points will be available. 19. All children under 12 get in free, but they must be accompanied by a paying adult AND have a child ticket. Free child tickets are limited. 22. By purchasing a ticket for this event and by entering the premises of the event site you consent to being filmed and photographed and that your image may be used for promotional purposes.